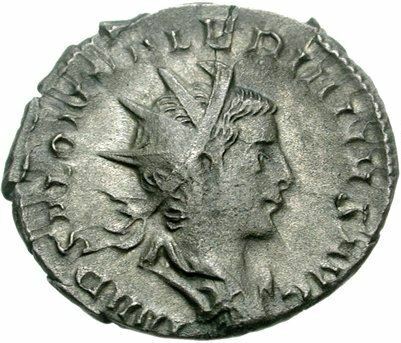 Publius Licinius Cornelius Saloninus Valerianus was Roman Emperor in 260. Following his brother Valerian II's death in 258, Saloninus was appointed Caesar by his father and sent to Gaul to make sure his father's authority was respected there. Unfortunately, this endeavour failed spectacularly and the general Postumus was declared emperor by his troops as the first so-called Gallic Emperor. Gallienus, who was fully engaged elsewhere, could do nothing to save his son. Saloninus was handed over to the enemy by the citizens of Colonia Agrippina and murdered. Saloninus was also briefly declared Augustus by his troops in 260, shortly before his demise.